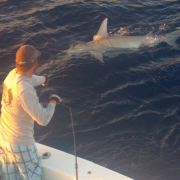 This week Miami Fishing Charter Reports is about the great shark fishing charters. 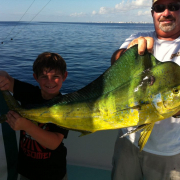 The late summer has weather has kept the Little Tunny and Bonita still migrating through the area. Behind these fish are the larger predators, Sharks. 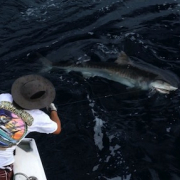 Over the past week we have caught Silky Sharks up to almost 7 feet, Black Tip Sharks to about 6 feet and the fish of the week was the capture and quick release of an 8 foot Tiger Shark. 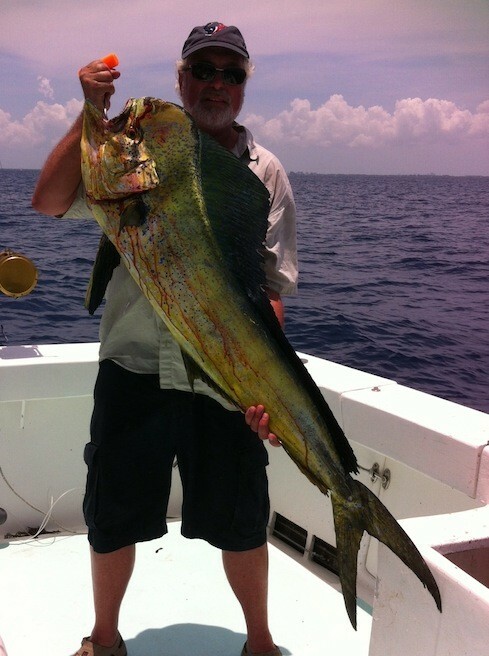 September has brought in some great late season Dolphin ( Mahi Mahi) and Wahoo fishing. 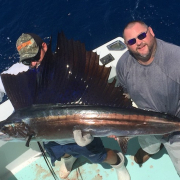 The fish have been on the reef in 100 feet of water and all the way out to more than 15 miles. Just depend on the day and the conditions.